Sunoco Pipeline has obtained approval for Pennsylvania service via a pipeline placed into service in 1936. Repair and replacement work on that Mariner East 1 pipeline is ongoing. Sunoco pipeline has also obtained federal approval to construct an interstate Mariner East 2 pipeline to transport propane and ethane. Sunoco Pipeline has not obtained eminent domain power for this pipeline, although the company regularly asserts that is has that power via state law. The state of Pennsylvania has no jurisdiction, or power, to provide eminent domain power for the interstate pipeline known as Mariner East 2. Sunoco has now disclosed a plan for a third pipeline, as discussed below. A pipeline leak and fire near Williamsport, Pennsylvania threatened a large area before being contained. 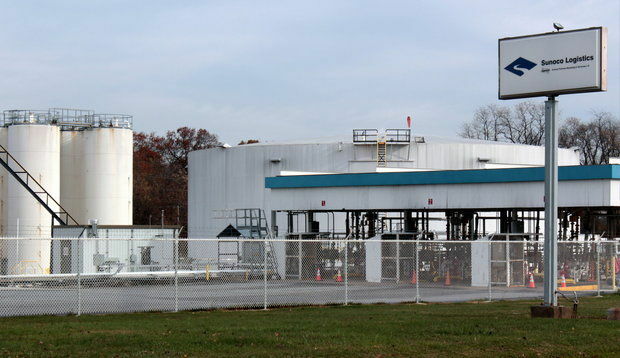 Williams Company, which is proposing the Atlantic Sunrise pipeline through the area, shut off the natural gas. The event reflects the risk to property and property owners. JORDAN TOWNSHIP — Emergency crews evacuated homes for a time near the Lycoming/Columbia County line because of a reported natural gas line rupture. According to Columbia County EMA officials, there was a gas rupture and leak around 9:30 p.m. on Wilson Road in Jordan Township near Unityville. There was initially a fire, but it was put out. An initial evacuation radius of three miles was reduced to one and a half miles. About 130 people went to shelters set up at two nearby fire stations. Sunoco Pipeline LP of Pennsylvania filed eminent domain documents in Washington County Court, seeking temporary and permanent rights-of-way on the land of property owners in two townships to move natural gas products to the Philadelphia area as part of a project the company said could have a $4.2 billion economic impact on Pennsylvania. 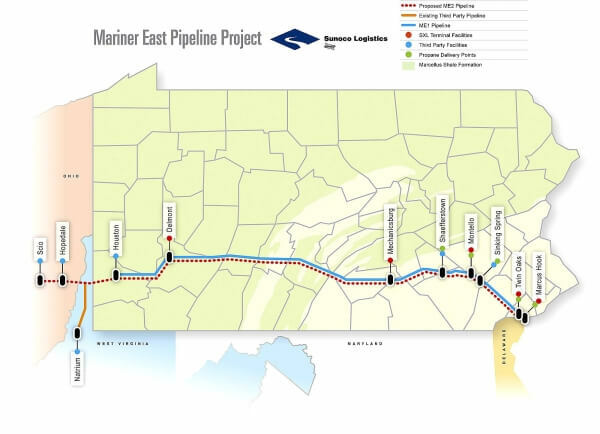 In court documents, Sunoco Pipeline said its Mariner East pipeline was constructed, and it began work on the second phase of the Mariner East project, known as the Mariner East 2 Pipeline, part of which it plans to build in Washington County.